Prepare yourself for an afternoon of mystery and intrigue during this one-hour magic show. 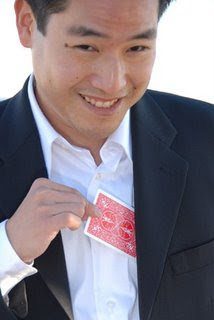 Master magician, Rich Kameda, spins the ultimate web of deception with sleight of hand tricks for adults and mentalism for adults. Audience participation is required as the magician skillfully weaves audience members into the show. Show runs from 1 p.m. to 2 p.m. There is a two item food and beverage requirement which is not included in this ticket. Venue has pizza, chicken tenders, nachos, juice, water, soda and alcoholic beverages for sale.